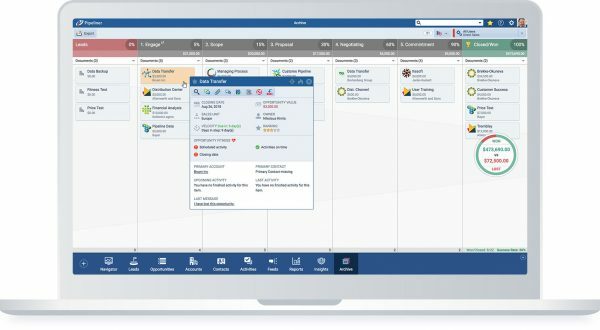 Pipeliner CRM makes full use of leading and lagging Key Performance Indicators (KPIs) for optimal opportunity management. The problem with managing only through lagging indicators is right there in the name: lagging. By the time lagging indicators become clear, it is too late to change anything. The combining of leading and lagging indicators give you a full picture of your operation and allow you to make changes to improve the scene before your lagging indicators come into effect. 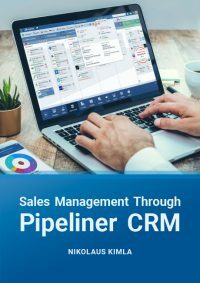 The traditional CRM approach has been more or less to ”track everything”—primarily the reps, their calls, their progress, their activities and so on. Reps entered their contact, account and activity data. But what should a CRM solution show a company? The answer: Where sales have been, where they’re currently at, and where they’re going. In order for a CRM to do that, it must function with leading and lagging indicators, so it provides real insight. No CRM has truly addressed this issue—until now. Unlike any other CRM solution, leading and lagging indicators are instantly and visually displayed. It’s all right there before you, starting with the main Pipeline View. 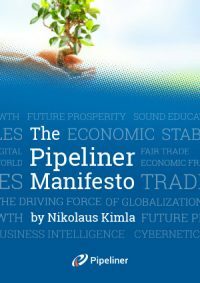 Right here you can see how many leads are available, how many opportunities are in each stage of the pipeline, and how many are overdue (per the average length of time for each stage). Your primary leading indicators are right there. On the right-hand side, the target is always visible, showing your primary lagging indicators, and how they are affected by all the leading indicators as they now stand. In Pipeliner, the most important lagging indicator is something not available in any other CRM: the Archive. The Pipeliner CRM Archive is arranged exactly the same as the active pipeline view. Leads and opportunities contain all information present when they were archived—including documents, emails, notes, social media interactions, tasks, and activities. An in-depth analysis can be done right in the Archive of lost deals—with the same degree of detail that can be done with current opportunities. With Pipeliner’s new Multi-KPI feature, which is available both in the main Pipeline View and in the Archive, you can compare 2 different values (for example Revenue and Units Sold) or 2 different time periods. There has never been an analysis tool like the Pipeliner CRM Archive. Pipeliner’s other features, such as filters, ranking, account view, and timeline all display leading and lagging indicators in various configurations, allowing you to instantly see how your leading indicators add up to your lagging indicators. 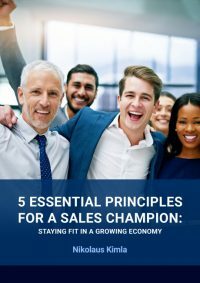 With Sales Performance Insights a sales leader or sales representative can see, at a glance, how various leading and lagging indicators have been combined so far for a sales unit, for reps as compared with other reps, and for territories as compared with others. Not only can reps be compared, but so can various indicators for those reps. Leading indicators include items such as created leads/opportunities, created accounts, and won opportunities. Lagging indicators include won opportunities, lost opportunities, won amount and lost amount. For overall sales management and for calculating risk, Pipeliner takes both leading and lagging indicators fully into account.